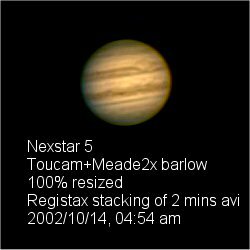 with the TOUCAM and Nexstar 5. Copyright © Sky Observers' Association (Hong Kong). All rights reserved.